For color treated hair & with UV filters.Provide anti-fade protection. Descrip..
For dry & unrurly hair.Hydrates revives.Nourish & restore. 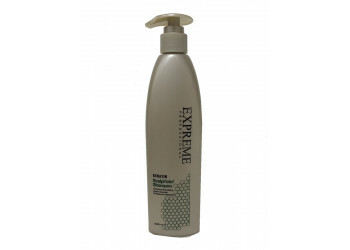 Description: Expeme Hy..
For color treated hair & with UV filters.Provide anti-fade protection. Description: E..
For sensitive scalps,stimulate hair & refreshes & regenerates scalp. Description: ..
For fragile.Resurface weak hair.Reinforced the inside. Description: This encriched formul..
Anti-dandruff purifying. Deep Clenasing.Oil Balance & metabolism. Description: Exprem..
Control without stiffness or stickness. Enchaces & defines curl.Protect against flyaway. ..